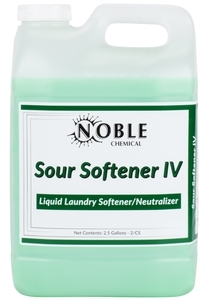 Keep the linens in your hotel soft with Noble Chemical’s ASOSO Sour Softener IV. 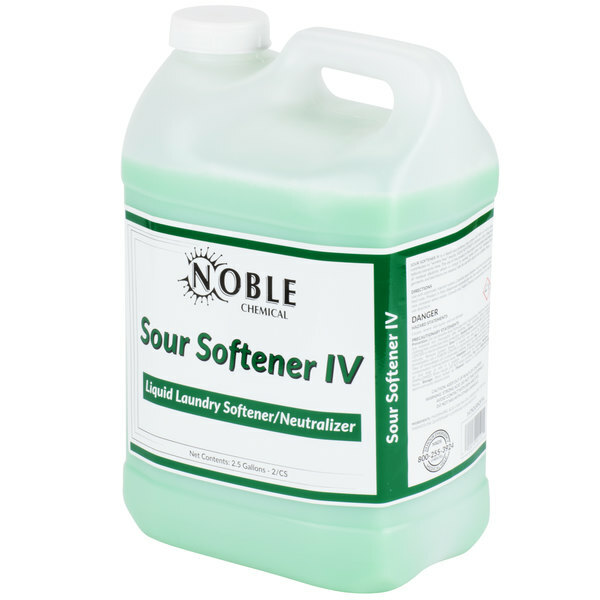 Noble Chemical’s ASOSO Sour Softener IV is a must-have for any hotel, healthcare facility, or restaurant that does laundry on a regular basis. 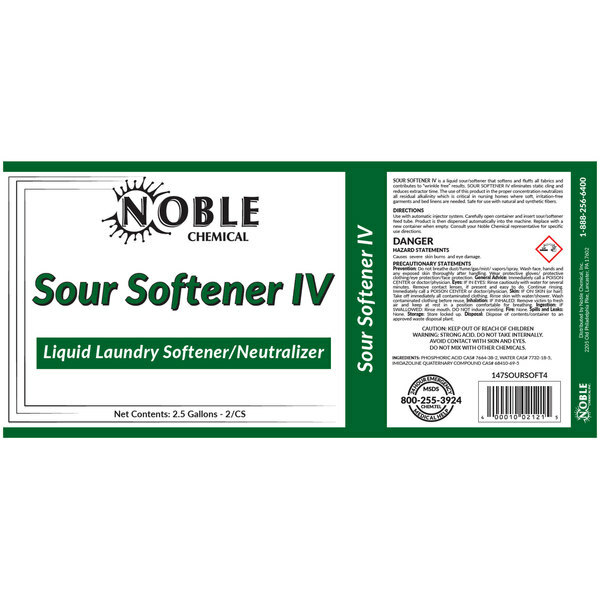 This fabric softener has a highly effective formula that is designed to fluff fabrics, eliminate static cling, prevent wrinkles in clothing, reduce extraction time, and neutralize residual alkalis. 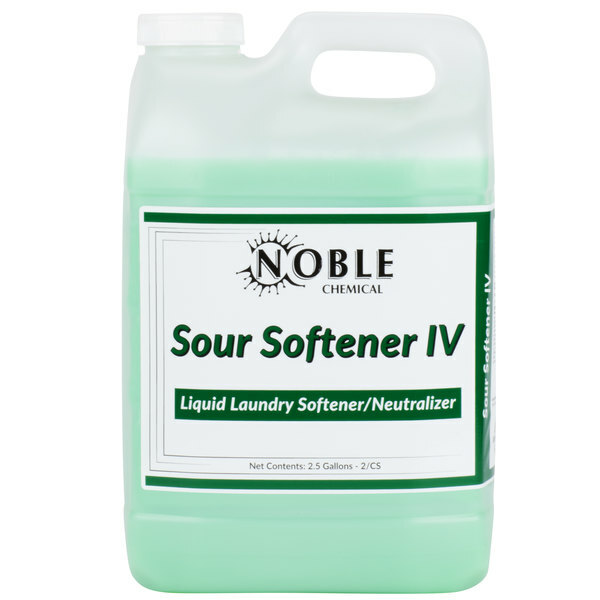 Additionally, this softener works great on natural fabrics as well as synthetics. 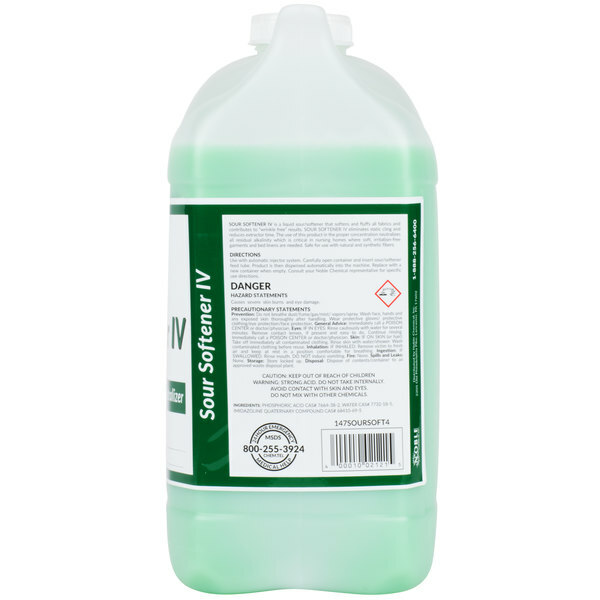 Using this chemical solution will make comfort and cleanliness a priority in your establishment. "I couldn't be happier with the results. 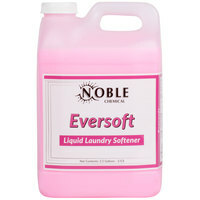 It leaves garments smelling fresh without static cling or hardness if air dried. The price is great on Webstaurant too." 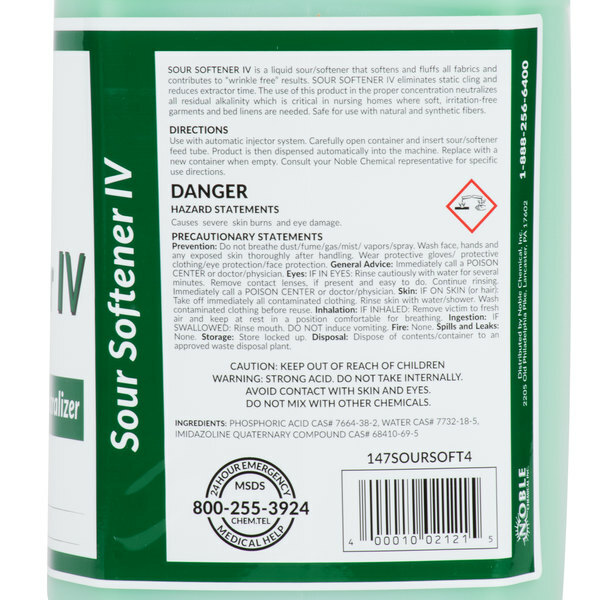 To use Sour Soft, open the container and insert your machine's feed tube into the bottle. 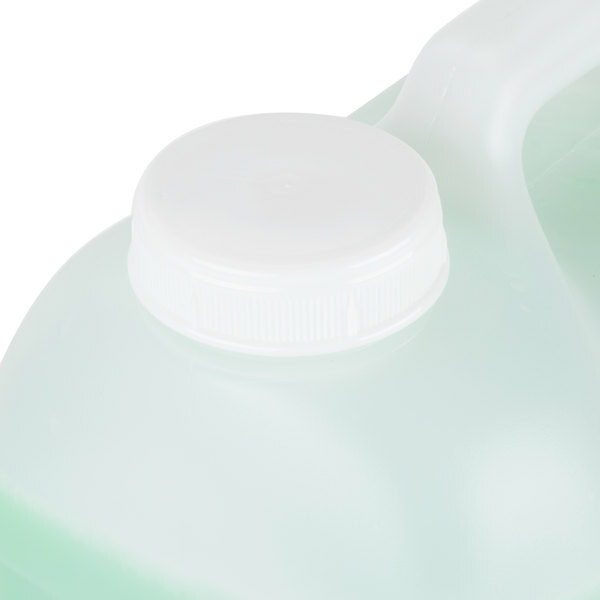 The chemical solution is then automatically dispensed into your machine. 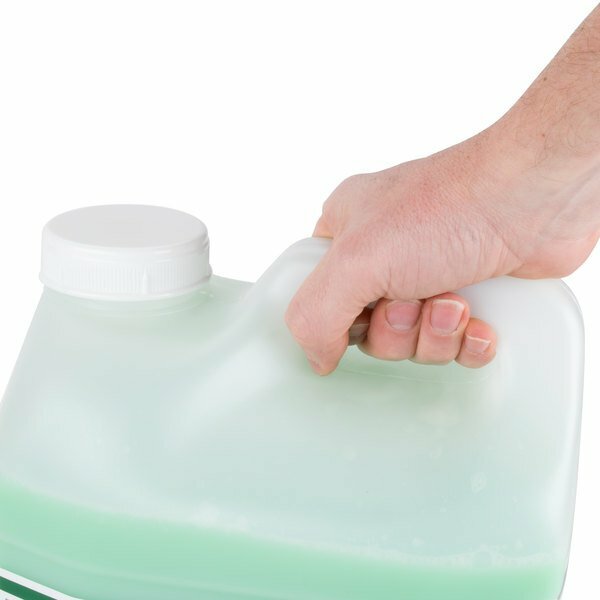 This bottle's easy-to-grip handle fits perfectly in your hand, and the small mouth allows you to dispense the exact amount of cleaner you need. 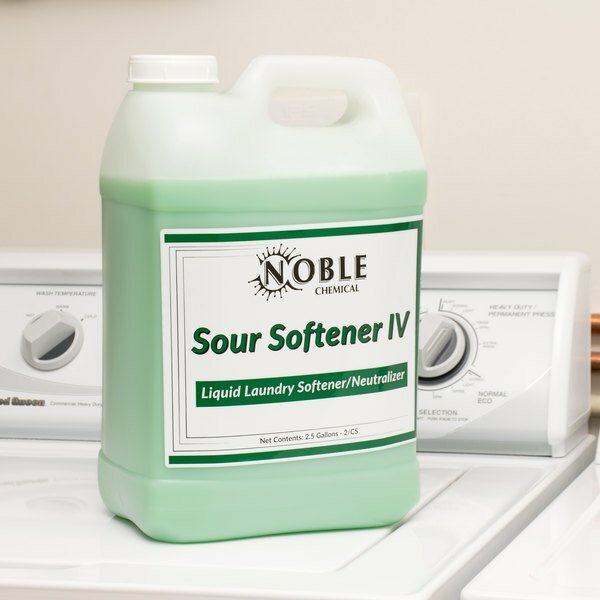 Noble Chemical brand supplies are a smart addition to any restaurant, hotel, or healthcare facility, and this handy cleaner will keep your laundry luxurious and soft. Be sure to check out our quantity discounts for even better wholesale savings! I couldn't be happier with the results. It leaves garments smelling fresh without static cling or hardness if air dried. The price is great on Webstaurant too. 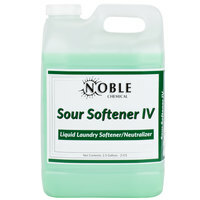 The 2.5 Gallon Noble Chemical Sour Softener is a great fabric softener. 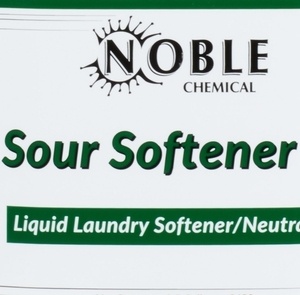 It softens your linens and smells great. It works just as well as the expensive brands.